The Greatest Danger is Being Out Of The Stock Market. 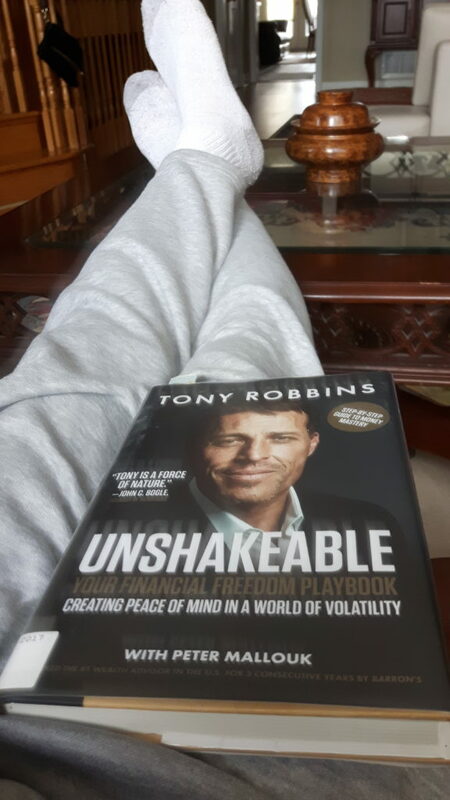 In his latest book – Unshakeable, Tony Robbins mentions from 1996 through 2015, the S & P 500 returned an average of 8.2% a year. Not a bad return. But, if you missed out on the top 10 trading days during those 20 years, your returns dwindled to just 4.5% a year. Robbins says it gets worse. If you missed out on the top 20 trading days, your returns dropped from 8.2% a year to 2.1%. And, if you missed out on the top 30 trading days, your return vanished into thin air, falling all the way to zero. An egg. Can you believe it? Now, I have got your attention. Where am I going with these staggering numbers? I firmly believe it is impossible to jump in and out of the market successfully. If your advisor is brave enough to say he or she can time the market, run for your life. No, sprint away like Usain Bolt. Furthermore, millennials should take advantage of compound interest (CI) while they are still young. For those who don’t know what compound interest is, let me explain. First, you are a loser. CI means earning a return not only on your original investment but also on the accumulated interest that you reinvest. For instance, if 100$ attracts 10 percent interest in one year, then we know it gained $10, turning $100 into $110. You would start the second year with $110, and if it increases 10 percent, it would gain $11, turning $110 into $121. Compounding works its magic after every year, you get the point. Investing early is the greatest gift you can give yourself. Warren Buffett used CI to become a billionaire. Buffett bought his first stock when he was 11 years old and the multibillionaire jokes that he started too late. He is such a teaser. Personally, I have been investing with TD Bank’s e-Series index fund (Fund code – TDB900) for almost seven years now using dollar-cost averaging (DCA) strategy. You can read my blog post about DCA here that was featured on the Globe and Mail. I started investing $25 every month. Then, I increased it to $50 every month. Today, I invest $100 bi-weekly to my fund which is not too shabby. I smile as I collect my dividends every December. Sorry, I re-invest it to my fund. Fun fact: My dividend income has been been increasing every year for the past 6 years. Another fun fact: Canadian banks are one of the best asset classes that can get you started if you are a newbie investor. Sure, banks annoy us and sometimes trick us as customers but as a shareholder, it is a different ball game. I am telling from personal experience. Please be aware to invest money in the stock market only if you wont have to touch it for several years. If you don’t have money like that, don’t dive into the stock market. For instance, people who sell their stocks when their basement needs a renovation are likely to lose their money in the stock market. Another situation where you are not in danger being out of the stock market is if you are paying interest on your credit cards. If you are paying interest on your credit cards, then investing money makes zero sense. You don’t have to be smart like me (Smile) to realize that paying 19.99 percent interest on credit-card debt and investing money that you hope will provide a return of 8 percent makes much sense. Some argue, you can continue investing and pay off your debt at the same time so you can take advantage of compound interest. Sure, it might work for student loan, as interest rate is much lower. But, you have to attack your credit-card debt first. I heed this principle. So should you. Thanks to Rob Carrick for featuring four of my blogs in the Globe and Mail. As a result, my blogs have reached a wider audience (mostly millennials). Plus, some of my friends and co-workers do ask me about the stock market and I tell them the same thing. Nobody can predict the stock market but you will be better off long term investing in the market especially if your are in your 20’s, 30’s and 40’s. Think index funds. Thanks to inflation, there’s no point putting your money in your savings account or holding crappy GICs, as your money will lose value. Again, the trouble is – sitting on the sidelines even for short periods of time and hoping to time the market. This may be the costliest mistake of all. Let’s recall if you missed out on the top 20 trading days during those 20 years, your returns dropped from 8.2% a year to 2.1%. Nobody knows when those top 20 trading days will occur. Don’t try to outsmart the market but get in the market and “buy and hold” for your long-term money. John Bogle, founder of Vanguard rightly said – “Despite the risks, if we are to have any chances of meeting our long-term financial goals, INVEST we must, Otherwise we’re certain to fall short”. Previous Post Passionate Bibliophile’s 1-Year Anniversary. Next Post Interview with Ellen Roseman, Business Columnist at Toronto Star.